I get this backpacking magazine in the mail every month. Not because I plan on going on any woodsy trips in the near future, but because it’s something I’ve done in the past and I like planning trips for the future. So, a couple months back there was this breakfast recipe, with complete instructions for cooking it, dehydrating it, and then rehydrating it on the trail. Obviously, most of us don’t have a regular need for dehydrated meals, so I decided to change the recipe up quite a bit and make an eat-it-while-it’s-hot version. 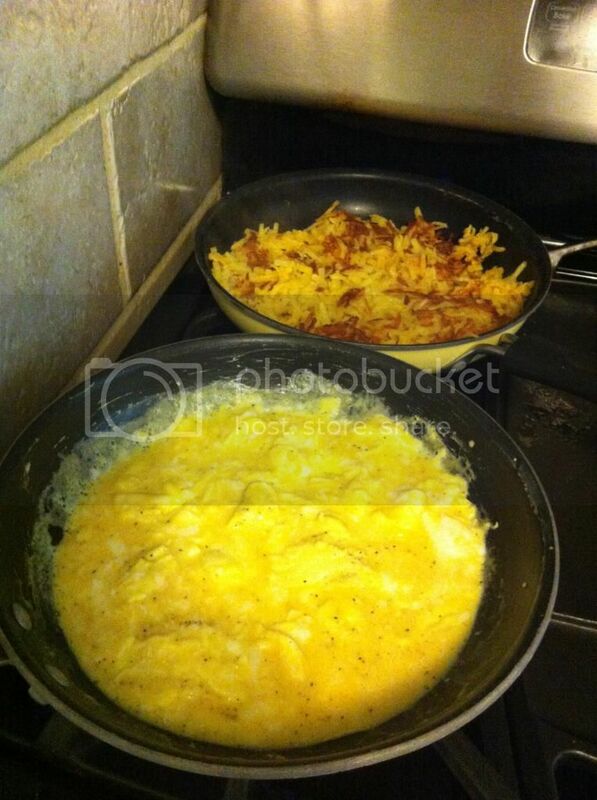 Follow preparation instructions on the packages for both the hashbrowns and gravy. Whisk eggs with milk, plus salt and pepper. Scramble eggs. 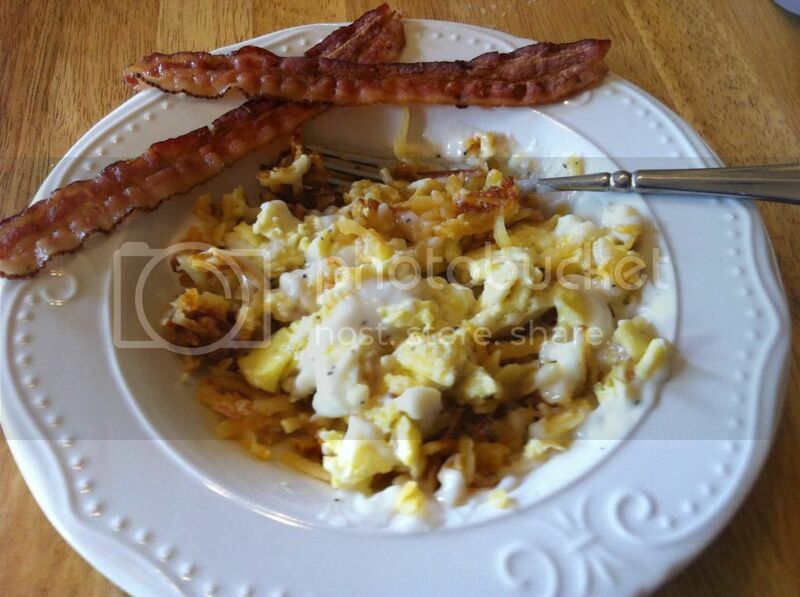 Mix eggs and hashbrowns together. Spoon into bowls and drizzle about a quarter cup of the gravy over the top. 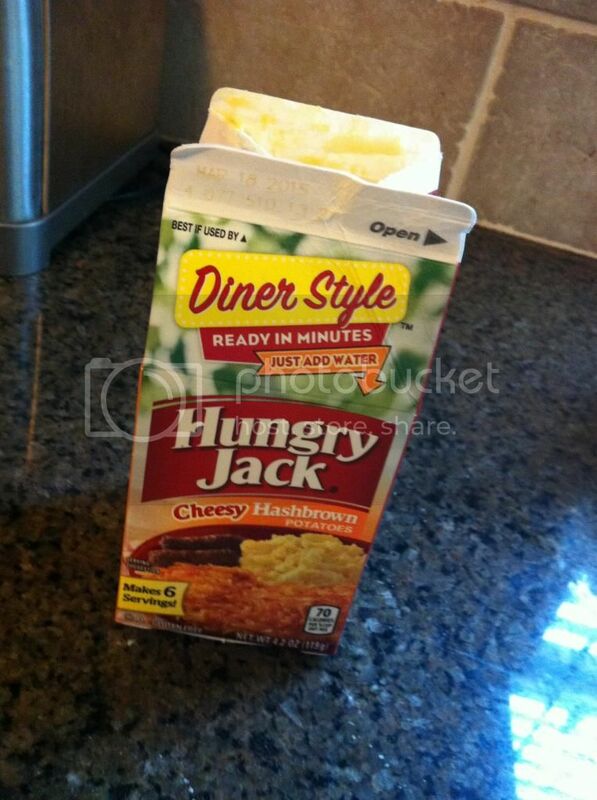 I’m lazy (at least in the kitchen), so I decided to take a brilliant shortcut by using dehydrated hashbrowns, and I found that Hungry Jack Diner Style hashbrowns are gluten-free. You could also use a package of frozen shredded hashbrowns. And I highly recommend using Pioneer Brand country style gravy. It’s so good, my picky husband claims it’s better than the regular glutenous kind. 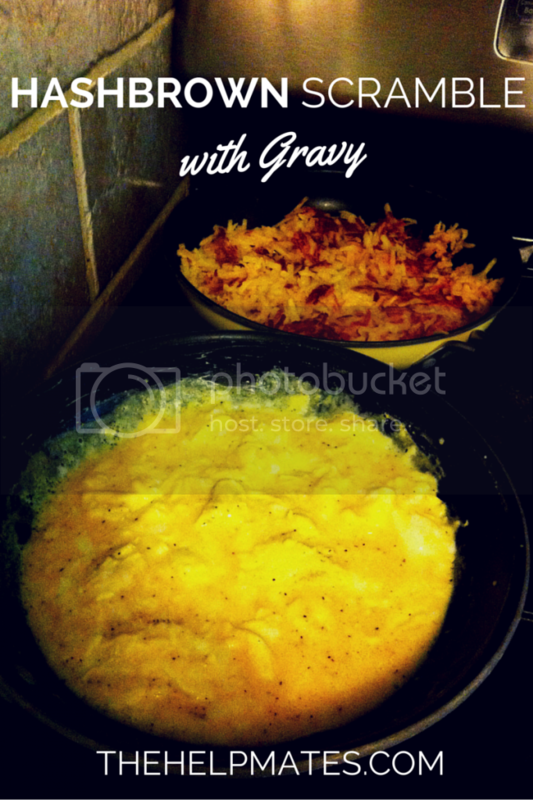 Begin by prepping the hashbrowns and gravy. Follow the preparation instructions on the packages. Then, whisk the eggs and milk together and add salt and pepper to taste and scramble the eggs. 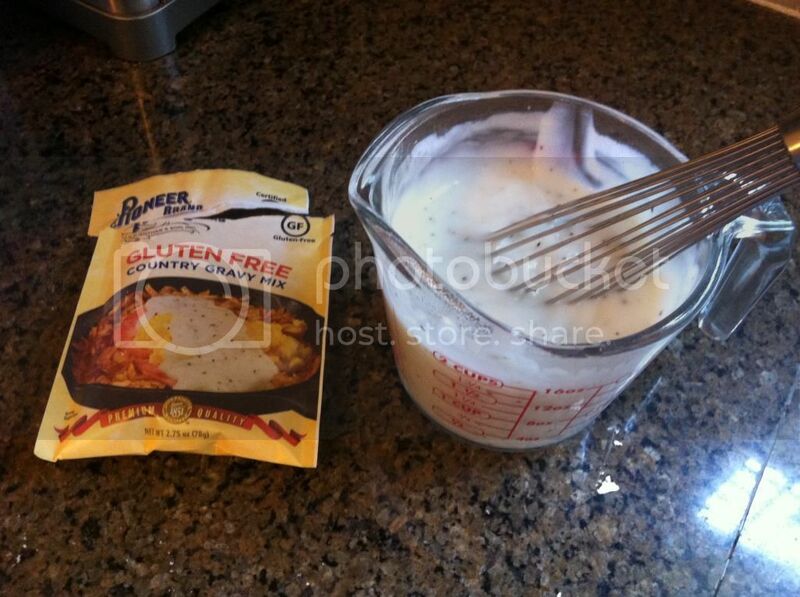 Combine with the hashbrowns, spoon some into a bowl and pour some gravy over the top. If you like, cook some bacon to serve on the side. Or, add some cooked sausage in the mix. A word of warning – this is very hearty and filling. It makes a great breakfast, or even a quick dinner. It is also a great camping meal, because it requires very little in the way of fresh food.